Okay, so I’ve posted this already at the end of last year on Twitter and Facebook but here’s a collection of the new parody print ideas coming early this year! If everything goes as planned these should all be available for our first convention of the year, Medway Comic Con! 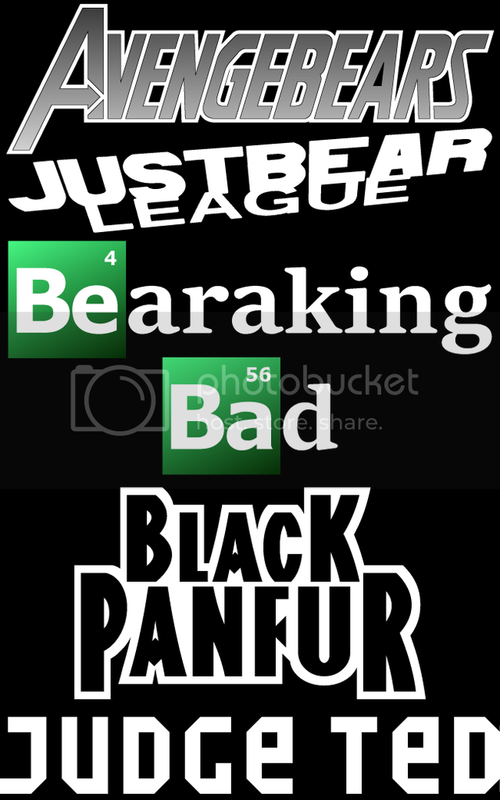 Some of you may notice that two of these parody names have been done before (and more than once in both cases!) but we’ve got new plans! Let us know what you think and if there’s any other parodies you’d like to see! Don’t forget that if we use your idea you get a free copy of the print!